I am on the 6th day of my South Africa Wildlife Photo Tour. It took 2 days to get to Johannesburg but I flew on one of the best Jumbo planes flying these days. It's The Magic Bus, the Airbus A380, a double decker flying behemoth. Quieter than the Boeing 747-8 Jumbo jet and very well design in passenger comfort and ergonomics. I am slowly recovering from jet lag. The first few days was very tiring for me because I had little sleep and the weather is very hot, even though it is only early spring, down here in the Southern Hemisphere. So far, wildlife sightings are very good with an encounter of 4 big male lions who coalesce into a Band of Brothers, defending their territory fiercely against other male lions who have eyes on their lioness and space. Additional encounters with Leopards and cubs, Wild dogs and puppies, Elephants, Rhinos, Cape Buffaloes, Hippos, various species of antelopes, zebras and bird species round out the sightings for the first few days. I expect some of the future safaris to be less spectacular. 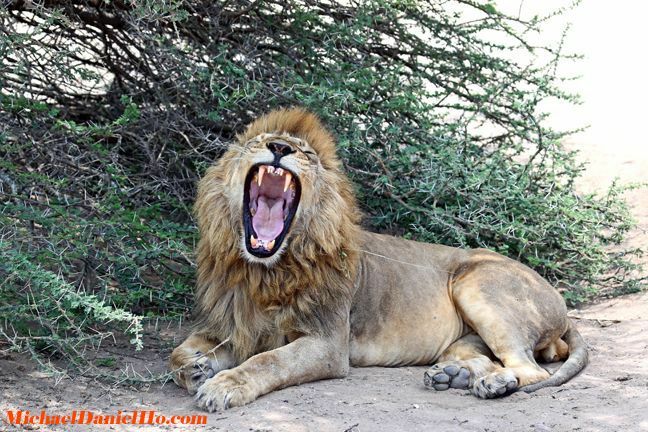 Such is the law of averages when it comes to wildlife tours. I have little time to really look over the photos but managed to put together a few for this post. I am anxious to see some Cheetahs if possible because this is one big cat missing from my tour right now. 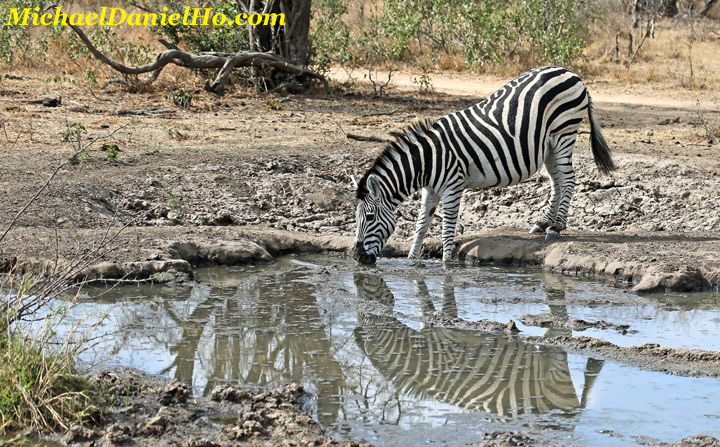 Visit MichaelDanielHo.com to see additional wildlife photos from my past tours and keep checking back for more updates. Just flew in from LA on BA on the Airbus A380. These double decker behemoths are great planes. I have flown them to Asia, Europe and Africa. They are quieter than the Boeing 747-8 jumbos. 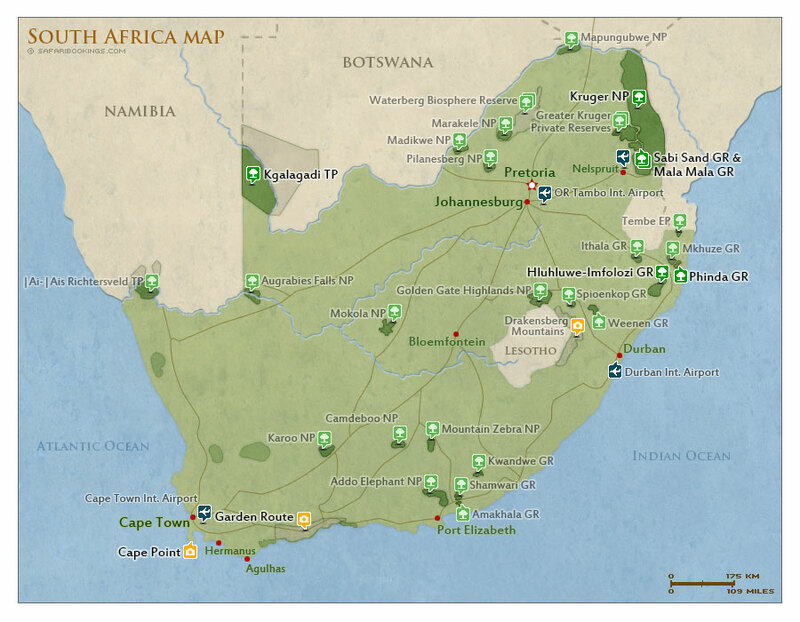 Flying into the bush tomorrow for the start of my South Africa Wildlife Photo Tour. 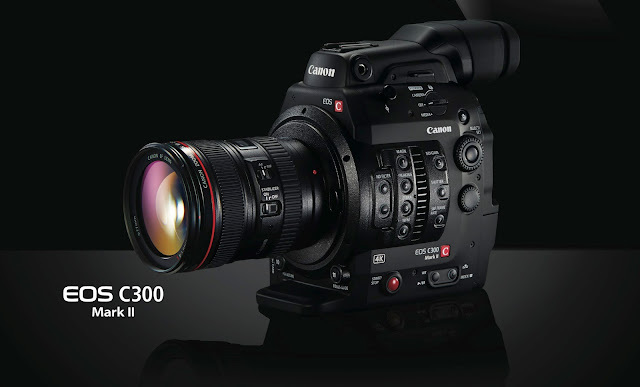 The much anticipated and acclaimed Canon Cinema C300 Mk II camcorder is finally shipping. You can read a series of white papers put out by Canon on this excellent piece of equipment. I will be quite busy and tired once the wildlife tour starts but will try and post a few things whenever I get the chance and WiFi signal. 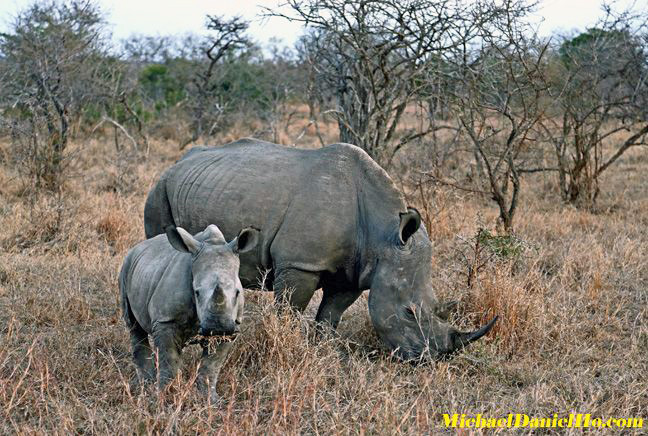 Visit MichaelDanielHo.com to see photos from my past trips. I am off on a wildlife photography tour in South Africa. My readers know I was scheduled to go on this trip about 3 weeks ago but was prevented from boarding the plane at the airport due to some obscure South African Immigration rule requiring a certain number of blank passport pages. Right now is the high season for wildlife safaris down there. It took me a long time and additional expenses to sort things out with the lodges, airlines and U.S. Passport Office. With the help of my travel planner, I am finally able to re-book the trip. My journey takes me to Kruger National Park and several neighboring game reserves. 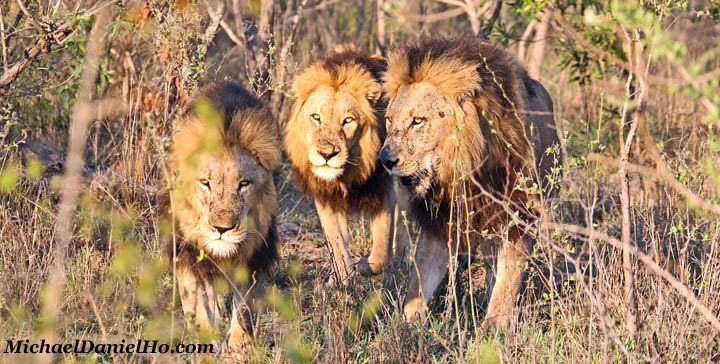 Kruger is one of the largest national parks in Africa, with an area of about 7,600 square miles. That is larger than a few states in the New England region of the U.S. The reserves adjacent to Kruger National Park, Timbavati and especially Sabi Sand and Mala Mala are famous for its populations of Leopards and Cheetahs. The park and surrounding reserves are excellent places to capture 'Big Five' images of Lions, Leopards, Elephants, Rhinos and Cape Buffaloes plus Giraffes, Zebras, Cheetahs, Hippos and many more. There are also hundreds of species of birds to marvel and photograph for the ornithologist in many of us. The reserves are characterized as ‘savanna bushveld’ with 6 different landscape types : acacia woodland, open woodland, mopane woodland, combretum woodland, mixed combretum woodland and mixed veld. The critically endangered African wild dog is also a regular visitor to these areas. The larger and rarer antelopes such as Roan, Eland and Tsessebe may also be seen but their numbers are still critically low. Today is World Rhino Day. South Africa is the epicenter for the fight against poaching of endangered Rhinos. They have the most number of Rhinos left in the wild so poachers are flocking to Kruger National Park from neighboring Mozambique. The park rangers are doing a valiant job trying to stop the carnage but it is an arduous battle since their limited resources are over-whelmed by the poachers' increasing savagery and sophistication. In the last few years, I have been keeping things simple and down sizing the equipment I bring on wildlife photo shoots. My safari equipment bag will have the EOS-7D Mk II , EOS-1D X , EF 400mm f/4 DO IS II , EF 100-400mm f/4.5-5.6L IS II , EF 16-35mm f/2.8L II , EF 1.4x III Extender and the usual accessories of filters, spare memory cards and batteries. I will try and make a few blog posts and keep you abreast of any breaking photography news. time and energy permitting. In the meantime, you can visit my website MichaelDanielHo.com to see more wildlife photos from my previous trips. 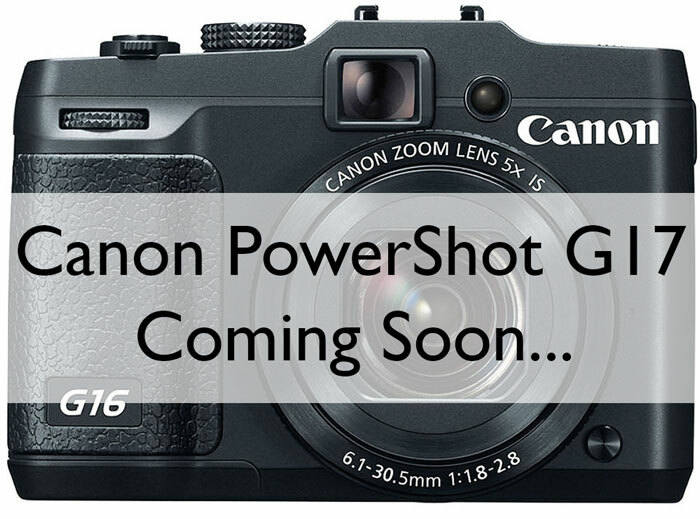 Canon recently announced the PowerShot G3X camera. The G1X II and PowerShot G16 was released in 2014 and 2013 respectively.. The G1X II was my favorite PowerShot camera in the lineup but now the G3X has given the G1X II quite a bit of competition. 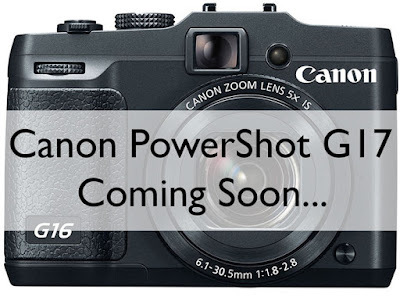 Now Canon may be ready to release the PowerShot G17 camera as well, perhaps some time in October 2015. The new camera may be slightly bigger and heavier than the G16 and the faster lens and larger sensor will be a welcome improvement in the PowerShot lineup. 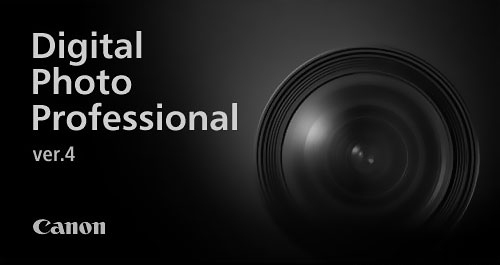 Digital Photo Professional 4.3.1 and EOS Movie Utility 1.3 software are available for download. 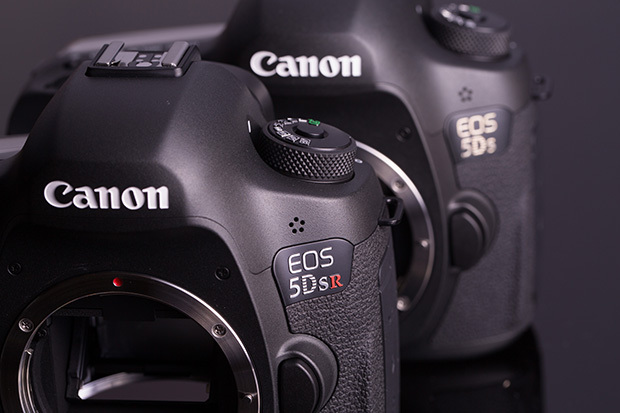 The Canon EOS-5Ds and EOS-5DsR cameras are available everywhere now. DxOMark recently came out with their sensor score on the camera. I have written posts comparing them to the Nikon D810, Sony a7R II and EOS-5D Mk III for those who are contemplating buying either camera or upgrading to one. There is a top-rated merchant on eBay selling the Canon EOS-5Ds camera for $2,649 and EOS-5DsR for $3,149 including free shipping. The list price is $3,699 and $3,899 respectively. If you are interested in buying one, don't delay too much longer. Canon recently put out a list of recommended lens with this camera. Neither cameras is a good choice for wildlife photography, in my opinion. I am waiting for the EOS-1D X Mk II and EOS-5D Mk IV to debut later this year or early next year for my next DSLR purchase. You will not find a link to this eBay item because I do not accept any advertisement or commissioned link on my Blog or website. I am completely unbiased in my recommendation and have no conflict of interest. You can find the listing on eBay easily yourself. 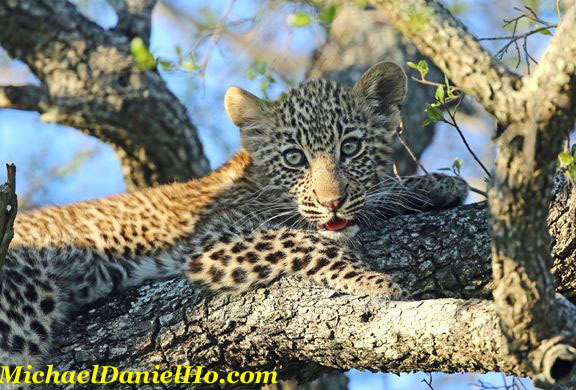 Visit MichaelDanielHo.com to see my wildlife photography work. Canon recently announced the long awaited EF 35mm f/1.4L II lens. The lens has just started shipping and you can see sample images by clicking on the link above. But there will be more announcements to come in the new few quarters, leading all the way through 2016. One of my favorite wide zooms is the EF 16-35mm f/2.8L II and it will be in line for an upgrade in 2016. Canon is also working on the EF 24-70mm f/2.8L IS and we may eventually see this glass come on the market in a year or two. Other non 'L' lenses will include EF-S and EF-M as alluded by Masaya Maeda of Canon during a recent interview at the Canon EXPO 2015 in New York City. Canon has now perfected the Blue Spectrum Refractive Optics technology. This new optical element will find its way into many of the upcoming lens and the EF 16-35mm f/2.8L III will be a prime candidate. In addition, the EF 70-300mm f/4.5-5.6 IS III lens is expected to be announced in the near future as well, together with some specialty lenses. The one lens I am most eager to get my hands on is the EF 600mm f/4 DO BR. It will be another great wildlife photography lens in my equipment bag. Canon will have a busy schedule in the next 6 months or so. The EOS-1D X II and EOS-5D Mk IV are expected to be announced. Keep checking back for the latest news and development. There is a top-rated merchant on eBay selling the Canon EOS-5Ds camera for $2,799 including free shipping. The list price is $3,699 so if you are interested in buying one, don't delay too much longer. Canon recently put out a list of recommended lens with this camera. You will not find a link to this eBay item because I do not accept any advertisement or commissioned link on my Blog or website. I am completely unbiased in my recommendation and have no conflict of interest. You can find the listing on eBay easily yourself. Visit MichaelDanielHo.com to see my wildlife photography works. 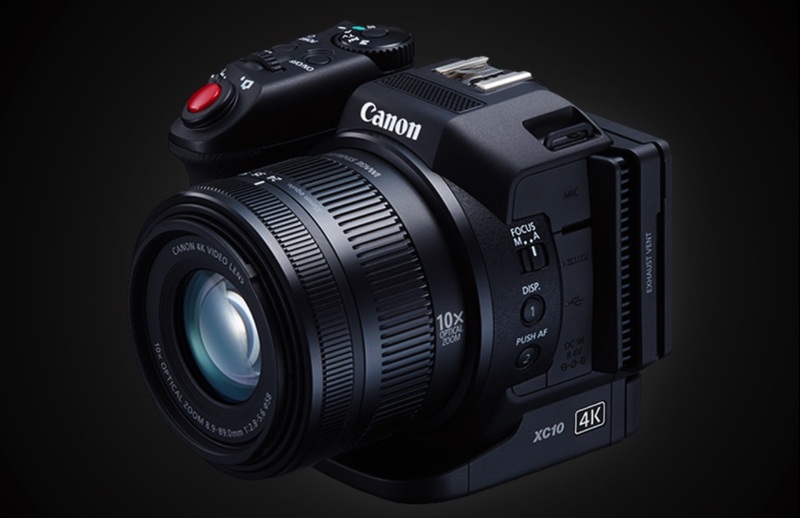 Canon announced the Ultra High Sensitivity Camera - ME20F-SH on July 20, 2015. 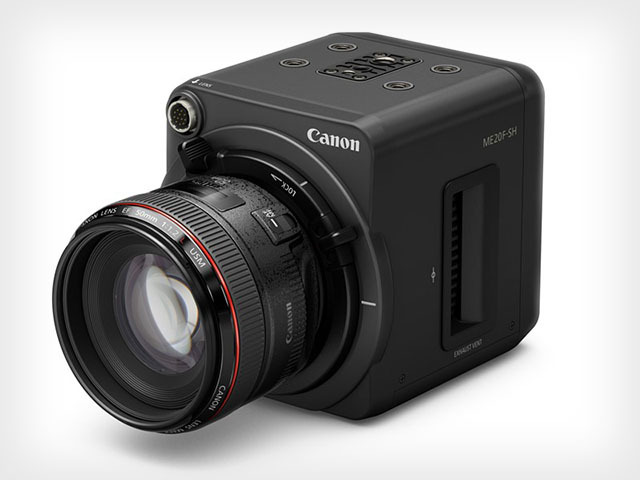 It has a super-sensitive full-HD 35mm full-frame CMOS sensor inside a small form factor body. The new camera can record color images in near-complete darkness, while its cubic chassis can be placed unobtrusively on set or in the wild. While the sensor is only 2.2 megapixels (effective) in resolution, each pixel measures 19 microns, making it more than 7.5 times larger than an equivalent 18.1 megapixel 35mm full-frame sensor. This large pixel size allows the sensor to gather much more light in all situations. This helps images taken in low-light situations maintain a low noise floor for cleaner and more vivid video. The rugged body is almost square in configuration and features multiple mounting points for discreet placement. The camera can capture images at up to ISO 4,000,000. Its low-light capability makes the camera ideal for wildlife documentaries, security and law enforcement purposes. The Canon comes with the EF mount and is fully compatible with the entire EF line of lenses, including the CN-E lenses with electronic communication. EF-S and Cine Servo zoom lenses are also compatible when used in the cropped mode. The camera sends 1080p video at up to 60 fps out from its 3G-SDI and HDMI terminals. One SDI terminal and the HDMI terminal can be programmed to include onscreen display information for camera operation. The camera settings can be adjusted using the on-camera controls or via a remote control connected with the 2.5mm jack or the RS-422 terminal. You can see a HD video of the camera in action from Canon Japan. This is an amazing video to watch. The camera retails for about $30,000 in the United States and some dealers will be taking pre-orders soon. Fixes a phenomenon which occurs when the “Shutter button half-press” menu item, configured in “C.Fn5: Operation”>”Custom Controls Menu”, is set to metering start only; depending on when the shutter button is half-pressed, it may initiate AutoFocus. Firmware Version 1.4.0 includes all improvements and fixes provided in previous firmware versions. Canon USA will perform this firmware update on the EOS-1D C Cinema EOS Camera free of charge. Shipping and handling charges may apply. Please contact the Canon Customer Support Center for details. Canon has recently concluded their Expo 2015 in New York City. At the show, Canon exhibited their latest technology, the standouts included the 250MP APS-H sensor, 8K camera, 120MP DSLR prototype camera and most exciting for me, the EF 600mm f/4 DO BR lens. 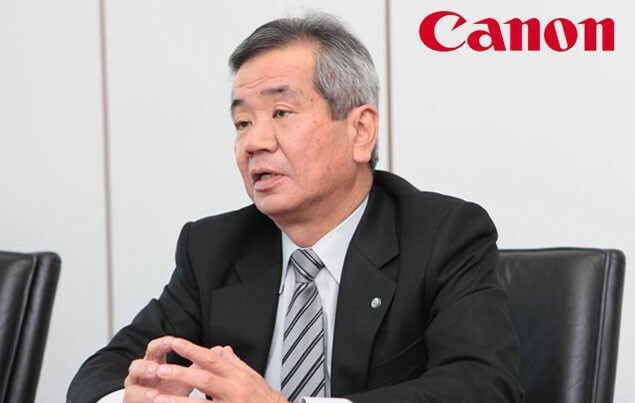 Imaging Resource's Dave Etchell sat down with Mr. Masaya Maeda, Canon’s Senior Managing Director and Chief Executive of Canon Inc’s Image Communication Products Operations, for an extensive interview. They covered many topics, including the upcoming EOS-M4, EF-S and EF-M lenses and new printers. The main takeaway of the conversation is, Canon will be releasing more EOS-M cameras, EF-S and EF-M lens and printers. 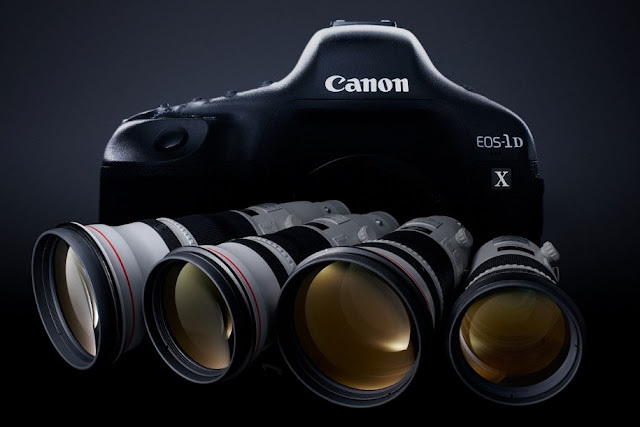 However, Maeda was very tight-lipped about their most anticipated upcoming products, the EOS-1D X Mk II and EOS-5D Mk IV cameras. Apparently, Canon is waiting for Nikon to make their first move and release the D5 camera, perhaps sometime in Q4 of 2015. Canon will be announcing new printers soon. The ImagePROGRAF Pro-1000, a 12 ink, 17 inch printer made an appearance at the Canon EXPO show in New York City last week, may be the first one to debut. Below is the excerpt from the interview. Dave Etchells : My first question is one of corporate direction. I recall back in Expo 2005, I think, nearly ten years ago now, Mr. Mitarai [now Chairman and CEO of Canon Inc., but at the time President and CEO] identified medical technology as a key strategic area for Canon, and you’ve made enormous progress on that -- we can see here now. Has the heavy investment in medical technology impacted the R&D budgets for still cameras, though? You've also obviously been putting a lot of investment into the cinema and video products. Has the R&D investment in your traditional camera products -- DSLR and compacts -- has it stayed level, gone up, or gone down in the last five years? Masaya Maeda : Regarding the R&D budget, basically the budget has been flat, except to say that from last year to this year, there had been a slight increase to cover all the costs for exhibits for this Expo 2015. MM : Regarding medical imaging, we feel that we are contributing to the medical group, not through providing money, but through our camera technology. DE : One trend that’s obviously been very apparent is the increase in resolution; actually back at Canon Expo 2010, we saw the 50-megapixel sensor, and now we see at this Expo... so the 50-megapixel sensor came to market as the Canon EOS 5D and 5DS. But now we see 120 megapixel and 250 megapixel sensors on display, and we’ve seen you reworking many of your classic lens designs over the past couple of years to improve their performance. How much more work do you think you still need to do in that process, particularly in light of seeing the 120-megapixel SLR that looked fairly close to being a product here? MM : Yes, yes. Step by step, we are going to improve our lens performance. DE : So it’s an ongoing process; currently the lenses are capable of the 50-megapixel and 8K level, yes. My next question is also on lenses. It seems significant to us that Canon has developed a total of 28 EF or EF-S lenses since 2010 (if I counted correctly) but only eight of those have been EF-S models. Does that indicate a long term corporate direction that will emphasize full-frame platforms over APS-C and smaller? MM : The digital cameras -- especially those with interchangeable lenses -- the performance of cameras has been going up a lot and therefore, together with the camera, we have to improve the image quality, and that is why we have been working on improving our L-series lenses. MM : So going forward we will proactively, and let me emphasize that -- proactively -- work on expanding our lineup of EF-S or EF-M lenses. DE : Yes. So the L-series was a priority because that was where the demand is, and the professionals demanded it. MM : Exactly, yes. I like the red line. Also to be found under glass at Canon Expo 2015 was a prototype 600mm DO BR lens, complete with the red stripe that adorns all of Canon's pro-oriented L-series optics. DE : The red line, yes. You like the red line. I like the red line, too! MM : Recently, our printers have the same red line. MM : Did you see it? DE : Yes, yes. I saw it. That’s a new branding -- so red will mean professional everywhere, yeah. I’m very interested in seeing what comes with the printers. It seems that much-loved red stripe will be coming to Canon's high-end printers in the future, as well. Here, it's featured on a prototype 12-ink, 17-inch printer model. DE: This is actually a very technical question. I’m not sure if it’s one that you would be free to answer or not, but with sensor technology some have pointed to the analog-to-digital conversion implementations being very critical for image quality and dynamic range. Can you tell us whether Canon currently uses on-chip or off-chip A/D converters? MM : Right now, we use both on-chip and off-chip, but recently I made the decision going forward to concentrate on the on-chip. MM : The intent is to increase the performance. In terms of cost, this may be a little negative, but in terms of the direction to take, this will make us more competitive. DE : So the net cost, the combined cost of the sensor and separate A/D is less than a sensor with A/D on it. Ah, I didn’t realize that! [This is quite significant, and it's interesting that it was Mr. Maeda's decision to move to on-sensor A/D across the board. Some have pointed to the use of off-chip A/D converters as contributing to lower dynamic range numbers for Canon sensors, when compared to those of Nikon and others in tests such as those published on DxOMark.com. Because separate A/D converters require transmitting analog signals from the image sensor to the converter, more electrical noise can enter the signal chain, resulting in higher noise floors. As well as its 250-megapixel sensor shown previously, Canon also had the sensor from its upcoming (and mighty impressive) ISO 4,000,000-capable full-frame video camera on display. DE : Also on sensors, as far as I know, Canon has so far made all of its own sensors for use in DSLRs. I’m not sure about the early days, but I think that is true since the CMOS era. But Canon has used other companies’ sensors in its PowerShot models, in particular I think the Canon G7X and Canon G3X use Sony sensors. Backside illumination seems like a very key sensor technology for improving low-light performance, but I believe Canon may be blocked from using it in your own sensors by patent issues. I guess one question is: Is that true? And the second is: Does that make it more likely that we’ll see third-party sensors in Canon DSLRs in the near future? If not, and if you are in fact blocked from the backside technology, how will you continue to compete on high ISO image quality? MM : First of all, for those cameras with interchangeable lenses, the sensors are all Canon-made sensors. However, as you say, for compact cameras we use both in house-made sensors and external vendor sensors. As to whether to use the third-party vendors’ sensors or not, naturally what we are aiming for is to make a very good camera, so if we determine that a better camera can be made using a third party-made sensor, there’s a possibility that we’ll use such sensors. DE : ...but a good camera. Yeah. Announced last February in most markets -- and in August in the USA -- the Canon EOS M3 is the company's most capable mirrorless camera to date, but there are only four EF-M lenses to use on it. DE : Talking for a moment about mirrorless, so far Canon has made a fairly limited entry into that world, although we did just receive -- and I have in my bag -- the EOS M3 with mumber of lenses. But there's still a fairly limited range of EF-M lenses. Mirrorless is gaining popularity now even in the US; I think NPD -- the market research firm -- reported that US mirrorless camera sales rose 16.5% in 2014, while DSLR sales dropped about 15%. What is Canon’s strategy relative to mirrorless, and are you in any danger of being left behind in that market? Many competitors have not just a range of bodies, but a very large collection of lenses for them, as well. MM: As I mentioned before when I talked about lenses, for all of the products, we are working from the top of the pyramid. Going forward, and this would be a repeat of what I said before, but we will put more effort into mirrorless, and also, naturally, we will continue to expand the EF-M lens group. In the very near future, I think that Canon will come out with a mirrorless camera that you would really like. DE : Oh, hmm. In the near future. That’s good. That will get a lot of attention, yes. I know better than to ask you when, so I won’t. That’s actually very interesting! With huge 19um pixels and a staggering ISO 4,000,000-equivalent sensitivity, Canon's ME20F-SH is aimed at professional movie, TV and surveillance use. But arguably, in many common shooting situations even consumers could benefit from a camera that traded resolution for higher sensitivity . DE : This is a question about educating consumers. There are a couple of areas in which I think technology development is especially important to both consumer and professional users, and those are low-light image quality and autofocus. Taking low-light first, you just released the extremely high sensitivity video camera, with sensitivity up to ISO 4,000,000, and the ability to capture color video in light levels of just 0.0005 lux. That’s obviously very specialized, but for consumers wanting to take pictures after dark, high ISO performance is very important. But low-light performance is also very much about pixel size, and most consumers really would be better served by fewer, larger pixels. Unfortunately, consumers like megapixels. You know, if 12 megapixels is good, 20 megapixels is better, and 50 megapixels is better still [in the mind of the consumer]. I think you’d have a very hard time selling even a 12-megapixel DSLR these days. What do you do when consumers’ desires or perceptions are really in conflict with how they would actually like to use their cameras? MM : Well, to get to the conclusion first, the needs of the general users, the consumers, there are many different balance points. We feel that many of these consumers want to take photographs of moving objects, and therefore we want to go with a reasonable number of pixels and increase the sensitivity. However, recently when we came out with the EOS 5DS, with 50 megapixels, we found out that there were many consumers who really needed a lot of pixels. So going forward, since pixels and sensitivity are in conflict with each other, we will have to come out with what would be the good balance between the two, in order to meet the needs of various users. DE : Okay. Your turn. You have to publish it on your website, though. MM : What is your need or preference in terms of higher pixel numbers or a higher sensitivity? DE: Hmm, that's a fair question. I kind of want both, too. So maybe two cameras, but most of the time I don’t do a lot of fine-art photography where I'd feel the need for a lot of resolution. My shots are honestly more just snapshots and things these days. And more often, I wish that I had cleaner images at very high ISO -- so available light in a restaurant, out after dark -- more often I want that than a lot of megapixels. But on the other hand, if I’m on vacation and shooting landscapes, I want lots of pixels then. If I had to choose just one, though, I would maybe have a 12-megapixel camera with very big pixels. MM : That is very nice. Please buy both. DE : Buy both, yes. 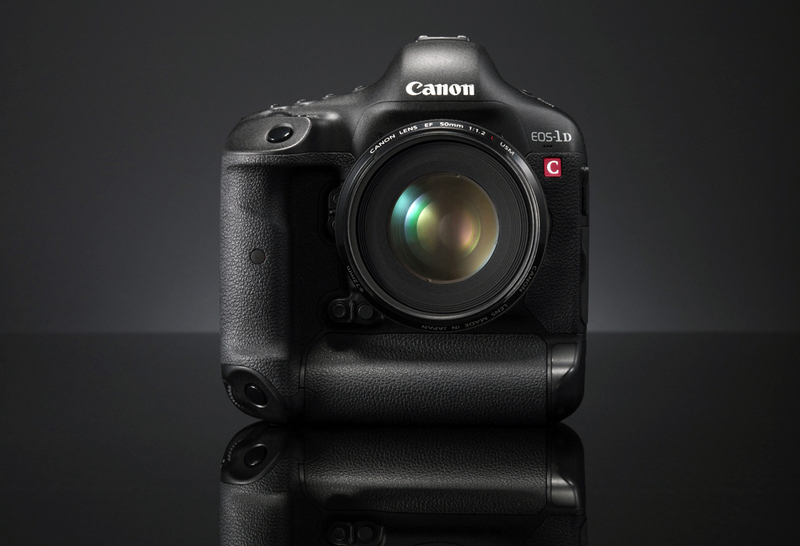 The Canon EOS-1D X sports an impressive 61-point autofocus system based around the module shown above. It's swift and reliable, but in cameras towards the consumer end of the spectrum, DSLR autofocus isn't always so satisfying. DE : So the other really critical area of technology is autofocus, and mirrorless cameras have caught up a lot, but we've found that -- short of a camera like the Canon EOS-1D X, which has fantastic autofocus -- even DSLR autofocus performance is often lacking. What are the barriers to bringing the level of autofocus performance that’s in the 1D X down into consumer cameras? In other words, what is it that makes that level of capability for autofocus too expensive to include in lower-end models? As technology advances, will that cost come down or will there always be a separation? MM : I myself would like to have the 1D X technology in the consumer-level products. The major issue is... Of course, cost is also a factor, but the major issue is downsizing, which is very difficult. DE : Oh, it’s hard to shrink that capability of autofocus. MM : I hate the size of 1D X. DE : Yes. It’s big. An incredible camera, but you have to use weights to work out your arms. Yes. DE : A related question, and maybe a short answer, I wonder to what extent one of the obstacles to having better autofocus in consumer-level cameras is that the consumers don’t understand the value of it, and so won’t pay for it. And I should say that this is hard to communicate, even for an organization like ours. Autofocus is so dependent on the subject, and the very specific particulars of the shooting situation. We could make one test, and it would only measure how well auto-focus does on that particular test. So it’s hard to communicate and even measure meaningfully, but I wonder, is that part of why we haven’t seen better autofocus in consumer cameras, really from all manufacturers? MM : Good question. I feel that even at the consumer level, people would want to capture that precise moment or instant, and capture it in a way they want. The same as before, the obstacles would be the downsizing and cost, but we would like to challenge this so that we would be able to put in this high performance even in entry-level cameras. If we are successful in doing this, then we would feel that the consumers with entry-level cameras would really understand the joys that they could get from being able to capture that instant or that moment in the way they want. Canon's Dual Pixel CMOS AF technology allows quick and accurate phase-detection autofocus across an unusually broad 80% of the height and width of the image without a separate PDAF sensor. DE : Yes. Still on autofocus, Dual Pixel CMOS AF has had a huge impact on autofocus performance, especially for video. We understand that it’s also a very expensive technology to manufacture. Can the cost come down as you gain more experience in manufacturing, or will it always cost quite a bit more than conventional sensors? And is there a chance we would eventually see it in Rebel-class cameras? Dual Pixel would especially benefit EOS M, where you don’t have the separate phase-detect system; is cost the overriding reason we haven’t seen it there? MM : You are exactly right here. In the future, I would really want to introduce the Dual Pixel CMOS AF on projects in the Rebel-class cameras. We’re working on that. DE : You're working on that, yes. Is the cost difference because there are more masking steps? MM : You must know semiconductor engineering. DE : In a previous life, in a previous life, yes. Many, many years ago, yeah. We had three-inch wafers back then [Ed.note: the silicon wafers integrated circuits are made on], and now I was down in your booth and they have 300-milimeter ones and they said 450mm is coming next. (I actually spent a lot of time talking to your nanolithography people. My readers wouldn’t be interested, but I was.) Yeah. I see, so it’s more mask levels and so more expensive to produce. The EOS-1D C was Canon's first still camera with 4K video capture support, but since its launch in mid-2012 the company has yet to offer 4K recording in any of its other still cameras. DE : Let’s talk briefly about 4K video. I’m not sure, actually I've said that after a slow start, 4K televisions are selling very strongly now, but I’m not entirely sure if it is really stronger or if that’s just wishful thinking by a lot TV makers. But nonetheless, Panasonic and Sony are offering multiple camera models even at fairly low consumer levels with 4K capability. Canon has been such a leader in high-definition video with your still cameras, why haven’t we seen 4K video in your mainstream consumer and pro still cameras? Is this something that you’ll address soon? MM : Well, historically, I think that Canon was the first in the world to come out with a 4K product. In 2011, we had the Canon EOS 1D C, and then we had the Canon Cinema EOS C500 for professional use. For the consumer models, I think that we still need to work a little bit more on the balance between the cost and the sensor sensitivity before we can come out in the market. As you may know, Canon's main point of difficulty is to reduce costs. DE : Hmm. I see, interesting. Again, about 4K, but as regards it being used for still photography. Panasonic, in particular, has been promoting the idea of 4K Photo, which means using 4K video capture as an extension of still photography. It’s a way to capture exactly the right moment. Do you think this is the direction that we -- meaning the industry -- are heading towards overall, with the line between video and still capture gradually disappearing? MM : I believe you are right here in that this is one direction which definitely will be taken. Among professional nature photographers who photograph animals, there are many right now that are capturing stills from the video, and that is already being done. Let me add something. One photographer actually taught me something when he showed me this animal photograph that he got as a cut-out from the 4K video. It was a squirrel. The squirrels, when they eat the nuts, what they do is they eat it and then they would spit out the casing or the skin. At that time, squirrels always close their eyes. DE : When they spit out the skin, they’ll close their eyes. Really! MM : I was actually shown proof of that through the picture. DE : Wow, how interesting! MM : Cut out from the 4K video, it’s very interesting. DE : For those sorts of subjects, yes; you won't consistently see something like that, even with a very fast conventional continuous mode. 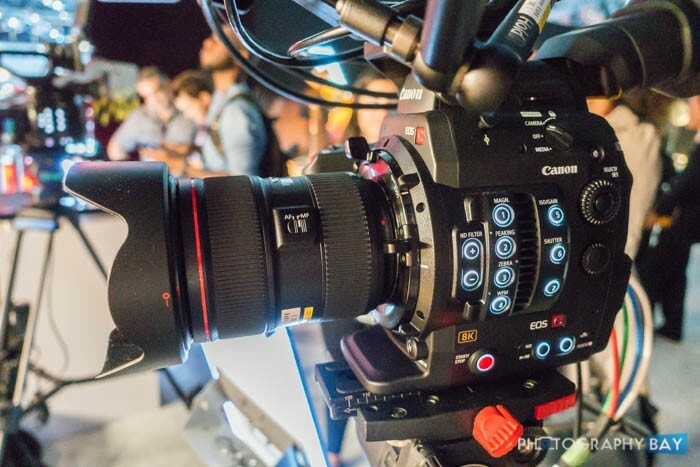 Among the demonstrations at Canon Expo 2015 was this prototype of an 8K camera, which records its output as four separate 4K streams to four separate Convergent Design Odyssey 7Q+ recorders. DE : I think in another interview you spoke about 8K video capture as the next logical step beyond 4K, and we’ve seen quite a bit of 8K video on the show floor. Will 8K ever be a technology for the consumer, or will it primarily and always be something used more by filmmakers? MM : To be honest, taking into consideration the amount of data recorded with 8K, the major issue that needs to be overcome is how to deal with the amount of electricity consumption. DE : Oh, power. Ah! MM : That's why I think for the time being, it will only be for professional use. DE : Because it needs to be a big camera with a power cable, hmm. MM : But in the future we would like to work on adapting this for consumer use. If we create an 8K camera about this sized [guestures with his hands, indicating something the size of a small SLR], that means we also have to create a heating device to boil water. DE : Yes, right, a coffee warmer. Yes. DE : Yes! A convenient device! Canon has long been a significant force in the inkjet printer market. Among its Expo 2015 demonstrations was this interesting 17-inch, 12-ink printer, showing some of the sharpest output we've seen yet. Mr. Maeda talked about a special relationship between these new printers and Canon's cameras; the most logical assumption from that is that the printers (or driver software) will somehow tune their output to the particular lens/body used. The sample print of an oil refinery/chemical plant was particularly impressive. DE : Canon is a major printer manufacturer as well, and we've seen that in particular today. By the way, I have to say that was one of the most amazing things to me, is to see how far inkjet has come. We had been thinking that inkjet printing had more or less plateaued, you know, droplet sizes and that sort of thing --- and there didn’t seem to be a lot of change. Just recently, though, Epson announced their EcoTank printers with higher purchase prices for the printers, but very large ink tanks, a lot of ink included in the purchase, and very inexpensive refills. These seem like they could really shake up the market. End users have complained about expensive ink pretty much forever. What does Canon think of this development, and are there any plans to develop models with cheaper ink, but as similar business models? That is, make the razor more expensive, so the blades can be less so. MM : I too wish that we could come out with cheaper ink. I’m not in charge of the inkjets, so I can’t give you much details on that. But one thing I can say is that in the future the camera group and the inkjet group will continue to work together, so that will be a C2C [Canon to Canon?] working together, and in the very near future I can promise that we will be able to come out with an image that will truly move and impress you. DE : Hmm. Yes. Another promise! MM : Did you see the large-format inkjet printers? DE : Yes, yes. I saw all sizes, but there are the new red line models - I saw extremely fine detail on them. MM : Yes. The red line is the same as lenses' red line. DE : Yeah, it’s the L-series lenses, yeah. Behind the red line: This cutaway on the Expo 2015 floor shows what lies inside the Canon EF 16-35mm f/4L IS USM lens, which performed very well in our review on sister site, SLRgear.com. DE : I think we’re just about out of time but maybe I could ask just one more question, which has to do with what the future looks like for the camera market. As you’re obviously very well aware, camera sales -- even interchangeable-lens -- have decreased in recent years. And I think part of that is that the previous cameras are so good. Even though it’s five years old, the original 7D is still a great camera, so many owners don’t feel the need to upgrade. I suspect a lot of 7D owners are in fact upgrading, but it’s certainly true that we’re in an era where people are upgrading less frequently. What does the future look like? What do you see the typical upgrade cycle being long-term? And how does that compare with the cycle time three of four years ago? MM : Well, I don’t have all of the detailed data, and so let me just give you my personal view on this question. For those users who have the interchangeable-lens DSLRs, the purchasing cycle, to start with, was not very short, so they would use the same camera for several years. So this would also cover your next question as well. In terms of the camera model change cycle, I think that would differ based on the characteristics of each camera. So in terms of our high-end cameras, we will do our model change when we are able to embed the functionality and performance that we are aiming for. For entry level models, of course we will do the model change when we come out with new features or new performance. But at the same time, for the entry level models there is a lot of competition, and so we also have to work on cost reductions. Once we are able to do these cost reductions, that would be another opportunity for model change. MM : In addition, in terms of how often the cameras are replaced, for those users who use the high-end upper class models, they have a good understanding of what the performance is like or what the features are, and so if there is a new feature added or better performance, then that would motivate them to replace their camera. Compared to that, in the Rebel class, it’s not that much replacement demand, but rather that overall volume is increasing. DE : Ah, so the low end market isn't so much about ongoing upgrades as it is about bringing new users into the interchangeable-lens fold. Well, I see that I’ve used up more than my time, and apologize for that. Thank you very much, not only for your time, but for your very frank answers. A few weeks ago, I reported the Canon EOS-1D X, Firmware Version 2.0.8 will be coming out soon. Now the new firmware has been released. As predicted, it contains only a minor fix. Fixes a phenomenon which occurs when the “Shutter button half-press” menu item, configured in “C.Fn5: Operation” > “Custom Controls Menu”, is set to metering start only; depending on when the shutter button is half-pressed, it may initiate AutoFocus. Download Firmware 2.0.8 for the Canon EOS-1D X at Canon USA website. What really surprised me was Canon did not even drop a hint about the upcoming EOS-1D X Mk II camera at their recently concluded EXPO 2015 Show in New York City. Nikon is also expected to release their D5 camera soon but I expect Canon to announce the EOS-1D X Mk II after the Nikon debut. The recently released Canon EOS-5Ds and EOS-5DsR cameras are descendants of the original EOS-5D, released in 2005. It was the first 'affordable' full frame digital camera and the official list price was roughly the same as the current list price of the EOS-5Ds. Considering inflation and the monumental advancement in technology packed into the new camera, I must say it is a very good deal, indeed. The Sony a7R II camera was released in June 2015. The following comparison covers the two cameras' major features, and assumes the reader is already familiar with the functionality and capabilities of DSLR and mirrorless cameras. It is intended to help those trying to decide whether to upgrade or keep their present Canon or Sony bodies. 3.2 inch, 1040K dot LCD screen. Number of cross-points depends on the speed of the lens used. 59 ms. shutter lag, 150,000 cycle shutter and .71x viewfinder. The first thing that stands out is the Canon EOS-5Ds is a 'bigger and heavier' camera. That in itself means little since both cameras can produce excellent photos that can be printed in very large size. If one needs to print super large sized photos, the EOS-5Ds has a slight edge. The Sony a7R II does have the advantage over the Canon EOS-5Ds, with an expanded ISO of 102400 vs 6400. Both cameras shoot at a maximum of 5 fps and there are of course, differences with proprietary processors, video speed, AF system, etc. but suffice to say, they are differences without much distinction. The final stand out point is the Canon EOS-5Ds has better battery management capability and claims to shoot 700 vs Sony's 340 shots on a fully charged battery. In conclusion, both cameras are great for full frame photography, capable of producing sharp, extremely huge prints. The Canon EOS-5Ds is a full frame DSLR while the Sony a7R II has a full frame mirrorless design. The Sony a7R II is superior to the older a7R in all aspects. More importantly, to me, the difference between a DSLR and mirrorless camera's design is the real issue. The EOS-5Ds (in particular the EOS-1D X) feels like a real camera with excellent grip and ergonomics. It is designed as a more rugged body and goes with a full complement of EF lens, from 8mm to 1200mm. The Sony is designed as a 'lighter, compact all-in-one package' stuffed with 'fluffy' technology and works with a smaller complement of lens, although one can buy an adapter and use it with some Canon's EF lens. For the photographer who prefers to travel light and take mostly landscape/nature/portrait photos and videos, the Sony a7II R is a good choice. As a wildlife photographer, neither the Canon EOS-5Ds nor the Sony a7R II camera is a good alternative for wildlife photography, in my opinion. I am waiting for the EOS-1D X Mk II and EOS-5D Mk IV to debut later this year or early next year for my next DSLR purchase. Whether one wants to upgrade from their present camera depends entirely on whether one needs a camera capable of producing mega prints. 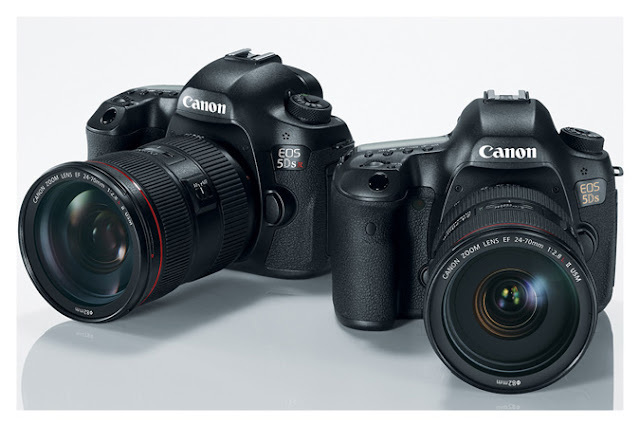 For Canon users thinking of upgrading from the EOS-5D Mk III to the EOS-5Ds, read my comparison here. For a comparison between the Nikon D810 and the Canon EOS-5Ds, read this post. The 50mm lens is one of the most basic, must have lens in many photographers' equipment bag. One can spend anywhere from about $100 to $4,000 on one, depending on one's budget and need. Below is a good video comparing ten 50mm lens from various manufacturers. They all come in mounts for Canon, Nikon and a few other camera brands. By the way, the most expensive 50mm brand, Zeiss, has just announced a 'cheaper' Milvus line to try and compete with other lens makers. Canon introduced their first Connect Station back in January of 2015 and the product's reception was muted at best. Last week, they showed off the next generation Connect Station at the Canon Expo Show in New York. The second generation model features built-in wireless and NFC connectivity for automatically importing of photos and videos from compatible Canon cameras. The new Connect Station comes with a 1TB hard drive and HDMI output for connecting to the TV and other external monitors, and supports 4K playback. Smartphones and tablets will be able to control the Station remotely. Photos and videos can be uploaded to the Cloud as well as stored on the Station itself. The added features will make the second generation Connect Station more useful and friendly to many more users and may receive a different reception when the new device is introduced next year. United Kingdom, 11 SEPTEMBER 2015 – Canon today announces that the XC10 video camera has been independently tested in accordance with European Broadcast Union (EBU) standards for HD content acquisition. The tests found that the large 1.0 inch Canon CMOS sensor coupled with Canon’s DIGIC DV5 image processor provides ‘little or no aliasing’ concluding ‘ its performance meets (HD) Tier 1, and it easily meets (HD) Tier 2L’ allowing its use in a wide array of broadcast and cinematography applications. The XC10 joins several of Canon’s high-end professional broadcast cameras in meeting the criteria defined by the European Broadcasting Union, including the Canon XF305, the Canon EOS C300 and the Canon EOS 1DC. The XC10 has impressive low light performance and image quality, which, combined with its compact size and remote controllability, makes it an ideal main or secondary camera in HD broadcast acquisition. The European Broadcasting Union recommendations exist to help broadcasters understand which technology is best suited for certain tasks. The UK's digital production partnership broadcasters use these recommendations to ensure their content meets a minimum threshold. “Canon strives to understand the needs of film-makers and broadcasters and creates a range of products to help meet their business needs and inspire them to take their work to new levels of creativity and productivity,” said Kieran Magee, Director of Professional Imaging at Canon Europe. The Canon XC10 is a compact 4K digital video and stills camera combining a large 1” (12.8mm x 9.6mm) sensor and a high quality optically stabilised 10x zoom lens offering a 35mm equivalent range of 24mm-240mm. A few days ago, just prior to the Canon Expo 2015 Show in New York City, Canon announced it was building, among other things, a 120MP APS-H sensor DSLR prototype camera. The pundits and chat forums immediately chimed in with their verdicts. It ranged from disbelief to ecstasy. 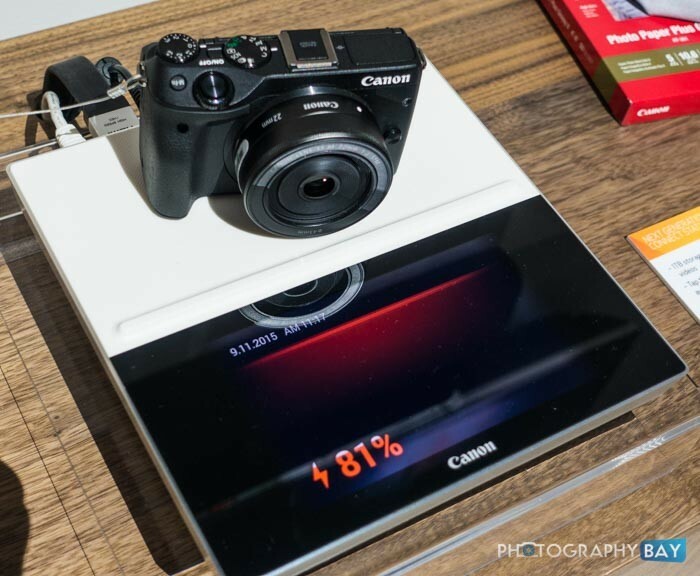 One website even betting Canon will release the sensor in 2017. 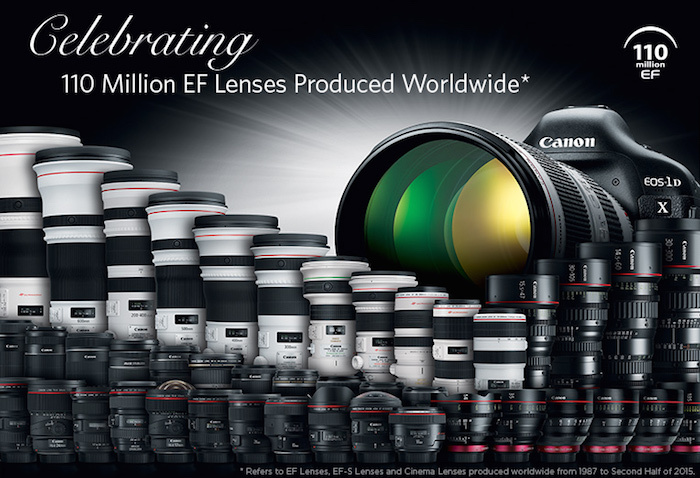 The fact is, Canon is the largest photographic equipment manufacturer in the world and dwarfs every other company. They ranked first in U.S. patents granted for 9 years in a row. Their labs routinely work on 'out of the box' type of projects. This is how you innovate and challenge your engineers. The announcement is designed to attract attention for the show and put the spotlight on the company's achievement and innovation. No more needs to be read into this developmental announcement for the foreseeable future. 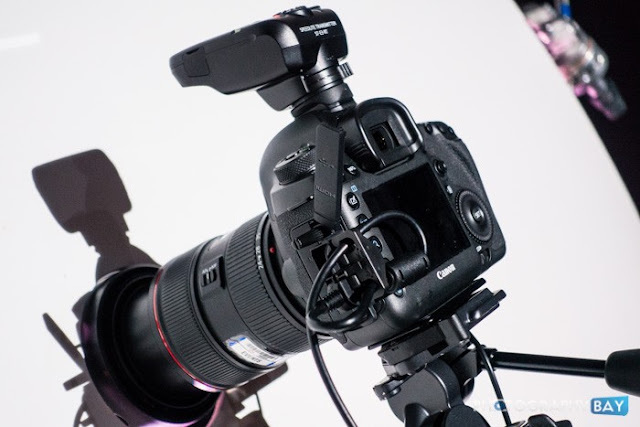 Canon announced the C300 Mk II in April of 2015. The C300 Mk II camcorder is a professional camcorder with 4K capability. Below are two comprehensive video look of the camera. the Cinema EOS System 8K camera and a still-image single-lens reflex camera equipped with a CMOS sensor featuring approximately 120 million effective pixels. I like to point out the Expo is, first and foremost, a dog-and-pony show, bringing together Canon's most powerful products, cutting-edge innovations and inspirational ideas for one incredible exhibition. 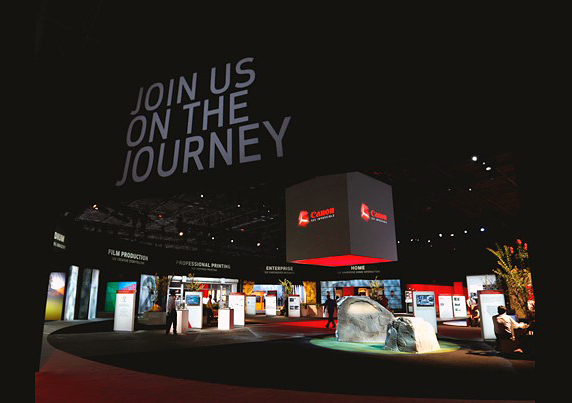 It is basically a showcase to demonstrate how Canon strives to improve the lives of all who interact with their brand. There are crazy rumors running around saying Canon might bring back the APS-H sensor with the 120MP count and put it in a new camera. Many of the prototype products demonstrated will not make it to the market or may come with different specs, if and when they do go on sale, years from now. 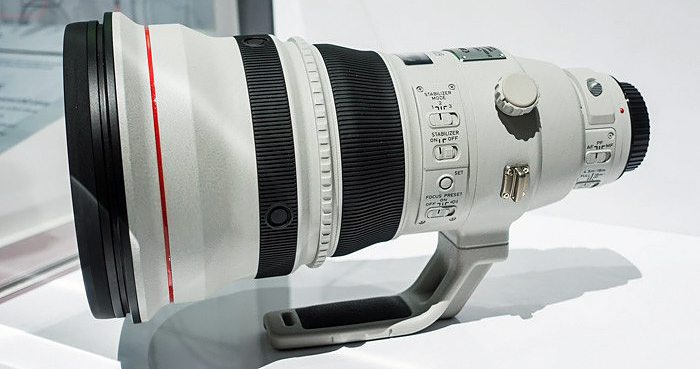 However, the most promising product exhibited is the EF 600mm f/4 DO BR lens, equipped with the brand new Blue Spectrum Refractive Optics technology. My readers know I am a big proponent of Diffractive Optics technology. The recently released EF 400mm f/4 DO IS II is my favorite Super Telephoto lens for hand-held, wildlife photography. Even Nikon is trying to get on the bandwagon now by introducing their version, called Phase Fresnel. Unfortunately for them, they are over a decade too late. Canon is way ahead in this space. I am ready to buy this lens as soon as it is announced, hopefully late 2016.